Tiaras have been a bridal accessory for many years and were once worn to symbolise the loss of innocence to marriage. On a woman’s wedding day she would wear the family tiara and from then on was expected to wear the jewellery of the groom’s family, symbolising her commitment to her new family. Nowadays, the reason the tiara is worn is more due to looks rather than tradition but that doesn’t mean it’s any less important. Tiaras come in all shapes, sizes and styles so don’t discount wearing a tiara on your wedding day until you’ve tried one on. 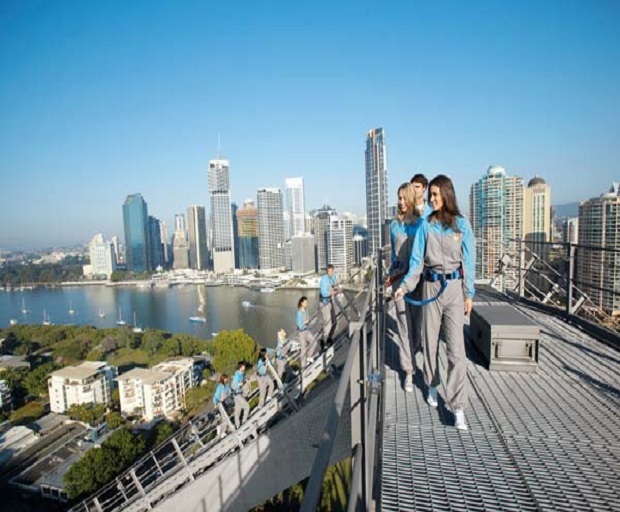 Typically they are worn far back on the head on a forty-five degree angle from above the ears and are best held in place when the hair is not complete clean, with the use of plenty of hairspray and pins. 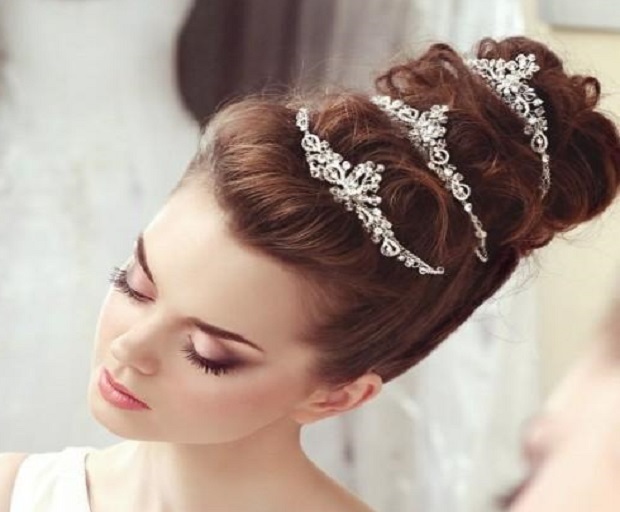 This impressive tiara works perfectly with the formal hairstyle this bride has chosen because it’s extravagant and stunning, much like the hairstyle. This is one tiara that wont go unnoticed. If you want something a little less understated then choose a simple tiara with minimal detail. Biggest is not always best. 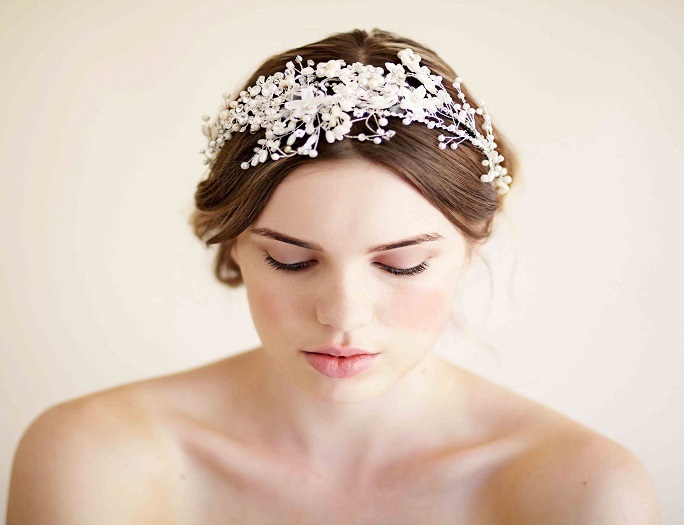 This classic bridal tiara is encrusted with diamantes and is a popular style for many brides. It’s simple yet elegant and can be worn with a multitude of hairstyles. 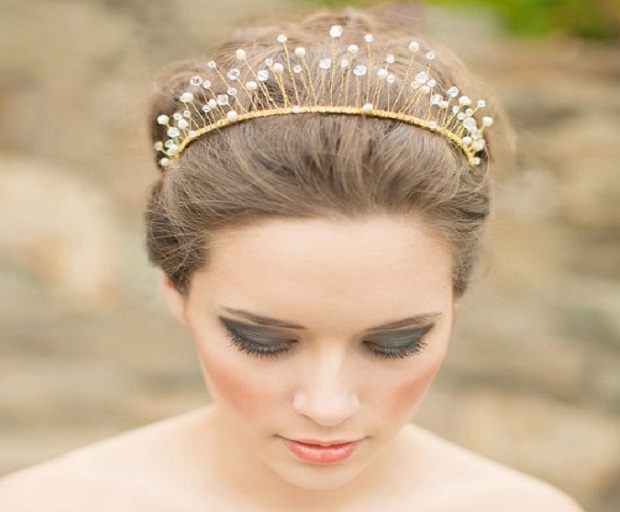 This incredibly dainty tiara is gold plated and has tiny diamantes suspended from small wires. It’s not your run-of-mill tiara but something just a little bit different. Love tiaras so much you want to wear more than one? Well why not?! 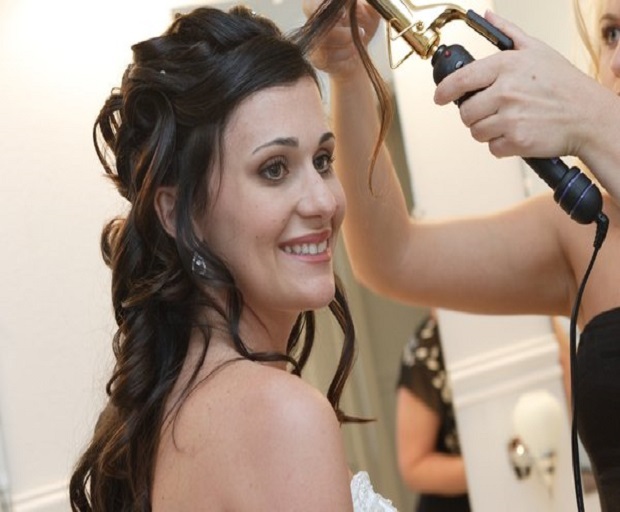 This bride proves it can be done with style, you’ll just need plenty of hair for that elongated up-do.